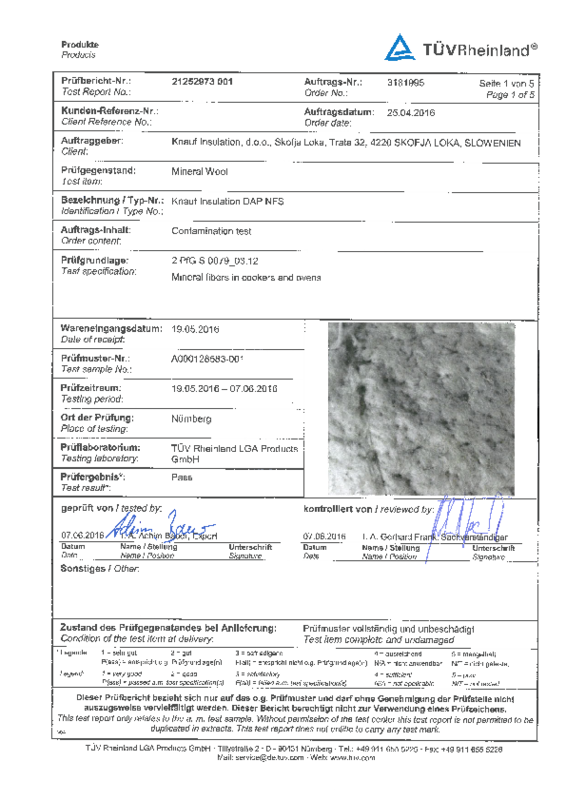 Knauf Insulation DAP NEEDLED FELT P (DAP NFS P) - Needled felts for self-cleaning, pyrolytic ovens. 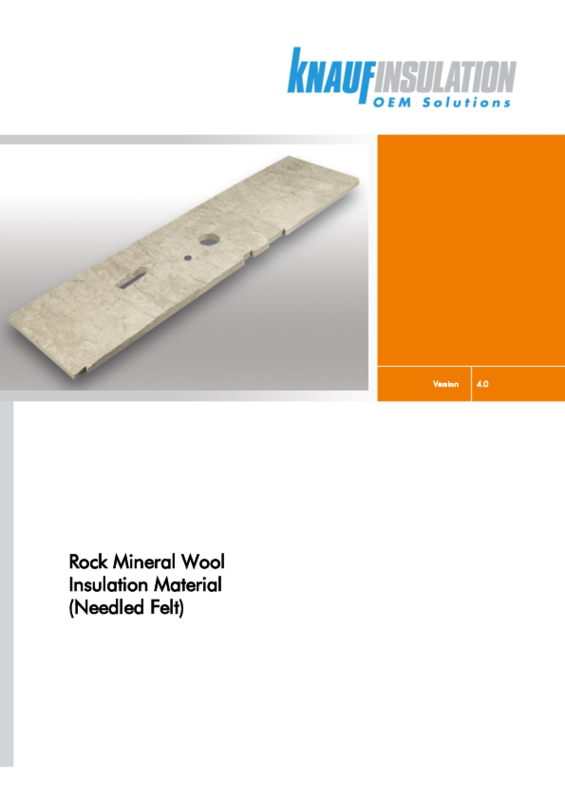 Knauf insulation DAP NEEDLED FELT P (DAP NFSP) products are made of long mineral wool fibres specially needled to form a compact, dimensionally-stable felt with high temperature stability and exceptional thermal insulation properties. 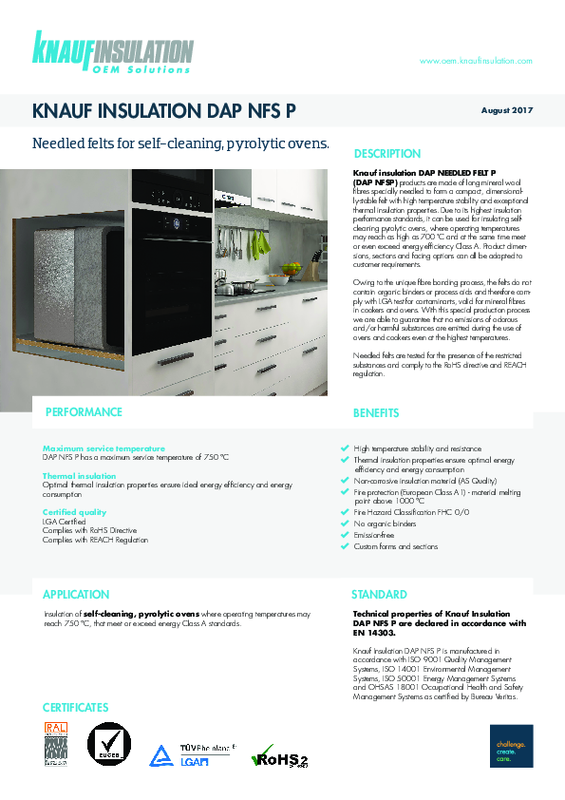 Due to its highest insulation performance standards, it can be used for insulating self- cleaning pyrolytic ovens, where operating temperatures may reach as high as 700 ˚C and at the same time meet or even exceed energy efficiency Class A. Product dimensions, sections and facing options can all be adapted to customer requirements. Insulation of self-cleaning, pyrolytic ovens where operating temperatures may reach 750 °C, that meet or exceed energy Class A standards.